This wine cellar was built in the middle of the 20 th century. 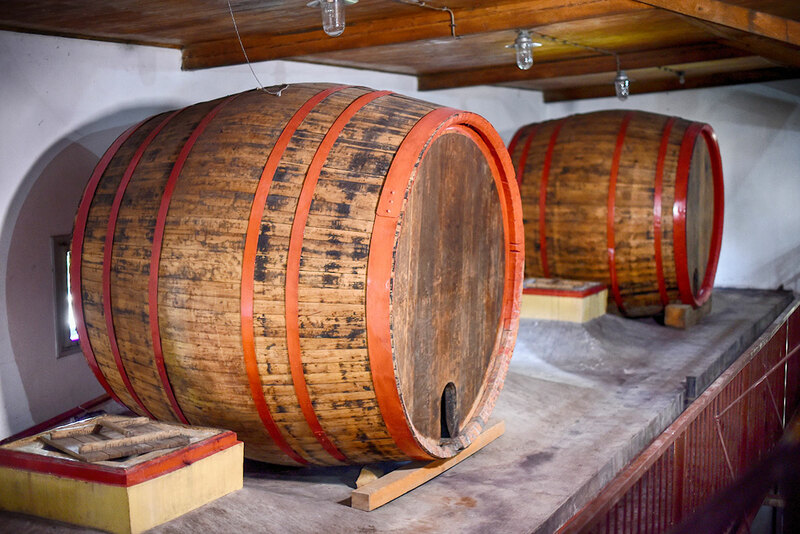 wine, so winemakers needed to build a large capacity wine cellar. This cellar has a capacity of 1,000,000 liters. The cellar is made of concrete, whose interior is covered by natural polyester. 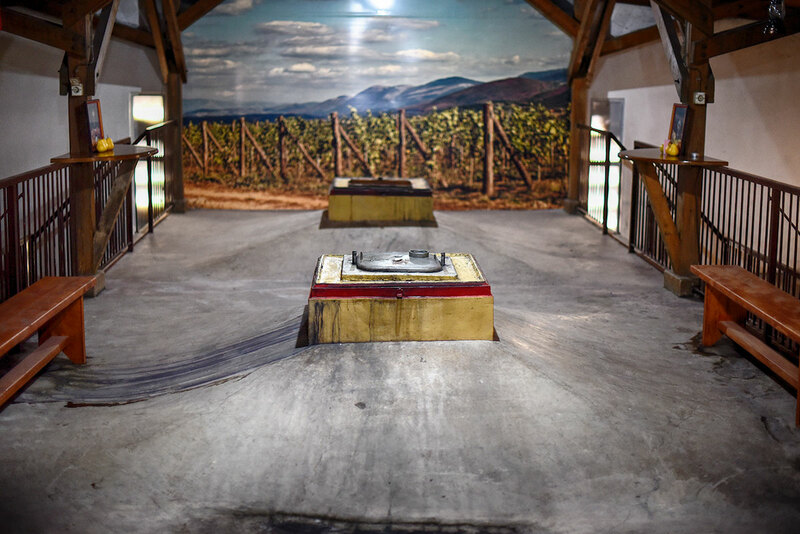 Exclusively white wines were produced in this cellar, where only grape must fermented. Italian Reasling with 12% of alcohol (made from Italian Riesling grapes).